from HIM nothing was made that has come into being. It is written that YESHUA is the WORD, and that HE was in the beginning with ELOHIM, that HE was ELOHIM. And that all things were created through HIM! So YESHUA is the Creator of all things, so we should listen and do all things HE speaks. Mat 5:18 "Amen, I tell you, until heaven and earth pass away, not the smallest letter or serif shall ever pass away from the Torah until all things come to pass. 19 Therefore, whoever breaks one of the least of these commandments, and teaches others the same, shall be called least in the kingdom of heaven. But whoever keeps and teaches them, this one shall be called great in the kingdom of heaven. 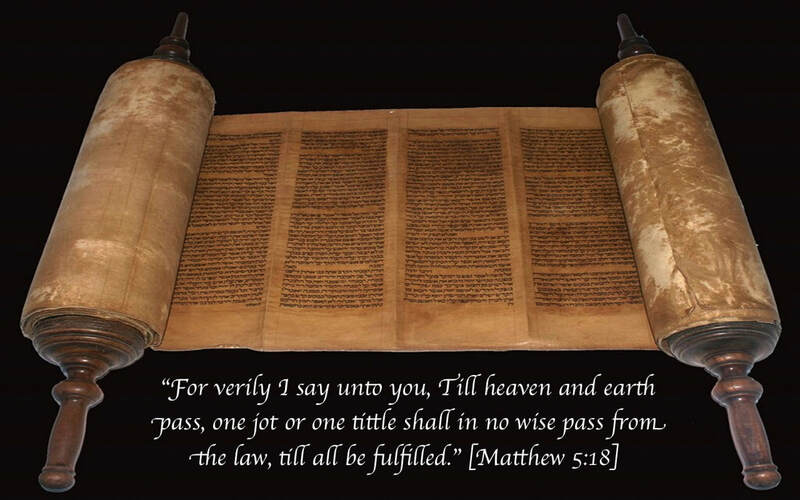 YESHUA teaches us that the Torah (instructions) has not passed away, and will not pass away until Heaven and Earth passes away. Question? Has Heaven and Earth passed away? If not, then the Torah/Instructions of Elohim has not passed away. So they are still relevant for us today. YESHUA teaches us that Man should live by every WORD that comes out of the mouth of ELOHIM. This is the Scriptures. The whole Scriptures. All of HIS WORD. Gen 1:29 Then ELOHIM said, “I have just given you every green plant yielding seed that is on the surface of the whole land, and every tree, which has the fruit of a tree yielding seed. They are to be food for you. Here written in the Torah, the Scriptures. The WORD of ELOHIM, in the beginning, it is written that all seed bearing plants and fruit bearing trees should be food for us. Fruits and Vegetables. I am not including the whole chapter of Leviticus Chapter 11, but please grab a Bible and read the whole chapter. This chapter gives the Command of ELOHIM on what animals that we are allowed to eat, what is clean and what is not clean. Now these commands are for the children of Israel, if you are a believer in YESHUA, you have been grafted into the Olive Tree of Israel, which is the children of Israel. These commands are for you. These commands do not save you, does not give you eternal life. But if you are a believer, that has been saved by the grace of ELOHIM, through the saving blood of YESHUA, then you want to obey ELOHIM'S commands. YESHUA tells us in the Gospel of John if we love HIM, we will obey HIM. Lev 11:1 And יהוה spoke to Mosheh and to Aaron, saying to them, 2 “Speak to the children of Yisra'el, saying, ‘These are the living creatures which you do eat among all the beasts that are on the earth: 3 ‘Whatever has a split hoof completely divided, chewing the cud, among the beasts, that you do eat. Lev 11:9 ‘These you do eat of all that are in the waters: any one that has fins and scales in the waters, in the seas or in the rivers, that you do eat. The chapter of Lev. 11 continues with restrictions on the birds of the air, and insects, what we are allowed to eat and what we are not allowed to eat. Please read the whole chapter of Lev. 11. I only have shared a small part so that you can get a taste of what is written. ​Lev 7:26 ‘And do not eat any blood in any of your dwellings, of bird or of beast. 27 ‘Any being who eats any blood, even that being shall be cut off from his people." We see in Lev. chapter 7 we are not to eat blood, so when we prepare our food, our meat, it cannot have any blood in it. The blood is the life of the animal. Do not eat the blood. Very, very important! ​I will conclude this teaching for now. The Bible has a lot to speak to us on how we should eat. We just need to hear and obey. If we love GOD, we will obey, for there is much blessings in obedience. Shalom.